Fifty-year-old trees and more, they produce small bunches that are left to dry for a month in wooden crates. 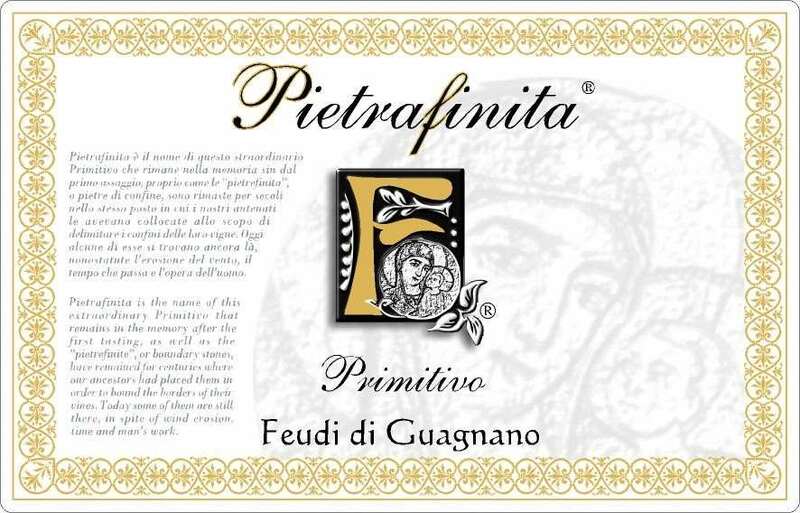 The wine that is obtained ages for 12 months in small oak barrels. Complex and elegant on the nose with sensations of black cherry and licorice. Endless cocoa and wild berries in the mouth. 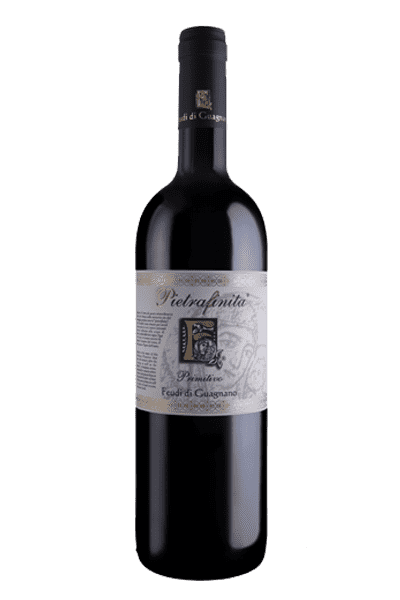 Pietrafinita is the name of this extraordinary wine that remains in the memory since the first taste, just like the “pietrafinita” or boundary stones, have remained for centuries. Pietrafinita is produced in the area of ​​Maruggio / Sava. The harvest is done manually at the beginning of September. Small clusters of primitive are placed in one-layer wooden crates for drying which lasts approximately 30 days. Wine ready after about 6 months of aging in bottle. Duration not less than 6/7 years.